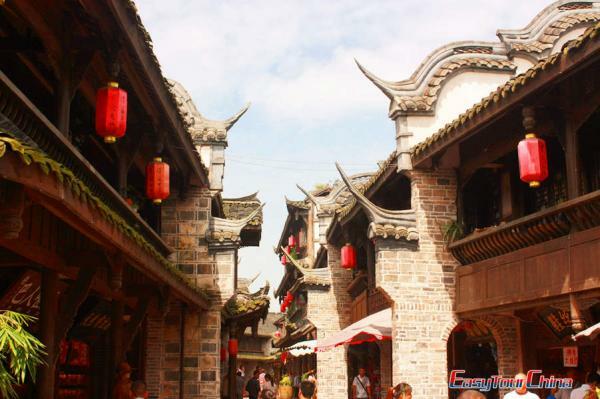 This tour includes all the highlights in Sichuan, such as impeccable natural scenery of Jiuzhaigou valley, world cultural and heritage site of Leshan giant Buddha & Mountain Emei, beautiful lakes of Huanglong, Panda Breeding Center, Wannian Buddhist Temple, Dujiangyan, Mt.Qingcheng… All of these popular scenic spots will certainly leave you an unforgetable exprience of Sichuan tour. 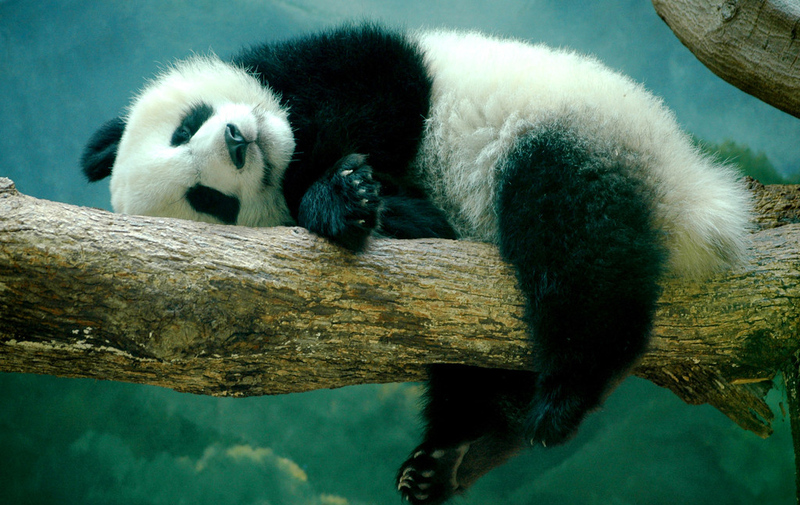 Arrive in Chengdu, transfer to your hotel by private car. 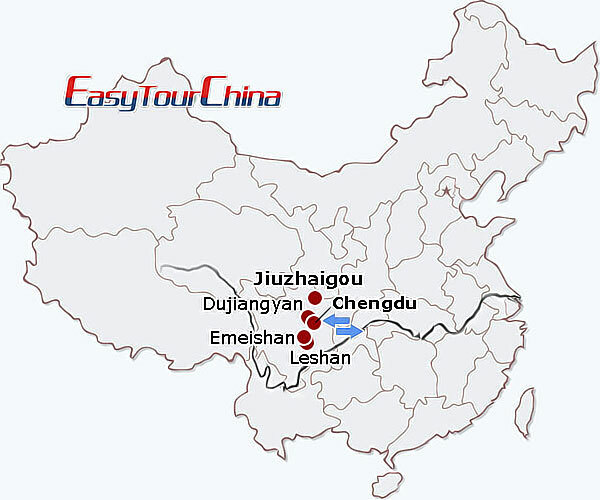 Transfer to fly to Jiuzhaigou (40 minutes' flight). Arrive at Huanglong airport and meet your private English speaking guide and driver there. Then walk up the mountain at Huanglong for 2 hours. 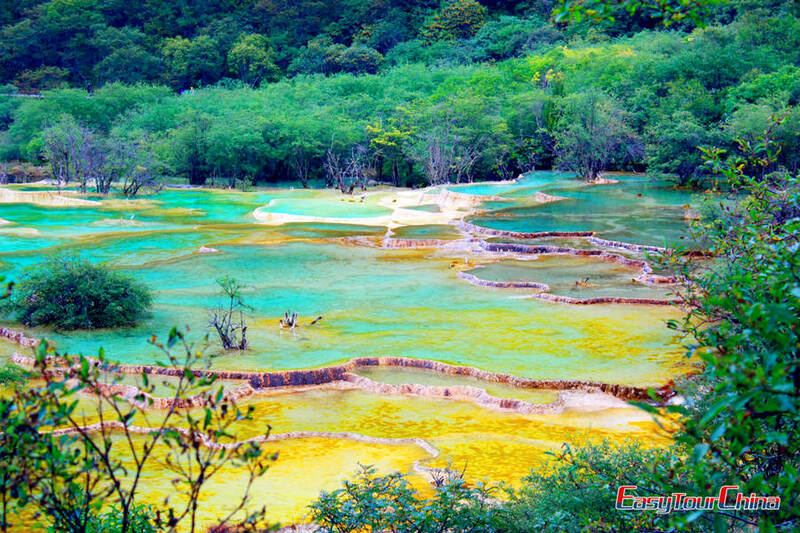 Enjoy the alpine mountain forest en route, and finally stop at the beautiful lakes of Huanglong. We will descend the mountain in the late afternoon for about 1 hour's hiking, and drive to Jiuzhaigou town (3 hour's ride) for overnight stay. Visit Jiuzhaigou National Park today. Take a local environment-friendly bus at the entrance. 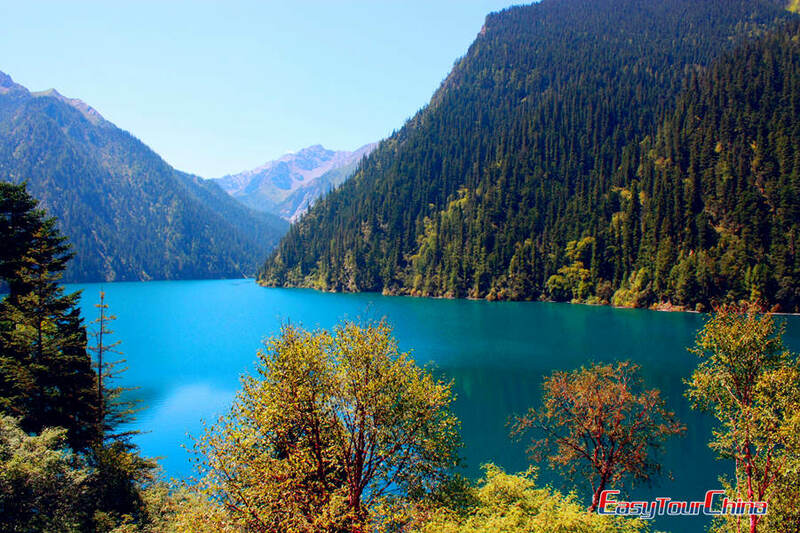 Jiuzhaigou consists of 3 valleys actually: Shuzheng valley, Rize valley and Zezha valley, which forms like the letter of Y. 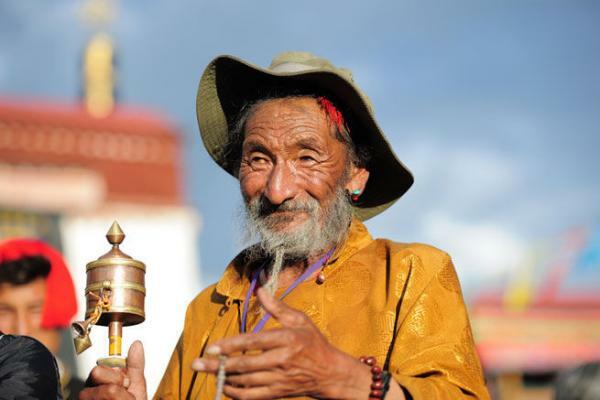 And many beautiful lakes, waterfalls, rivers and night Tibetan villages are scattered in the long valley. Local major habitants - Tibetans gave these lakes and waterfalls romantic names, such as Panda Sea, Pearl Sea, Long Sea, etc. It is a perfect place for taking pictures. In the late afternoon, exit the valley and stay at hotel overnight. 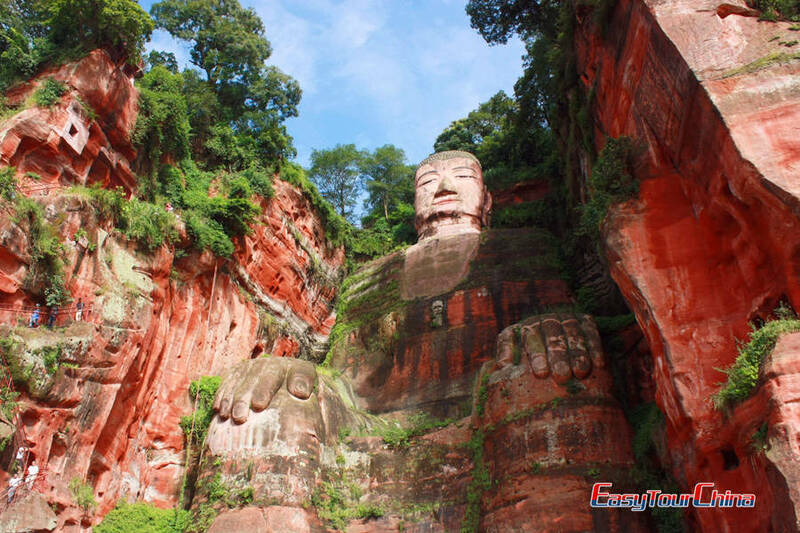 In the morning, head for Leshan city to see the sleeping Buddha from the other side of the Mingjiang River first. Then enjoy Chinese lunch at local restaurant famous for bean curd. Then go to visit Giant Buddha, the largest stone-carved Buddha sculpture in the world. The Giant Buddha is about 71 meters high and 24 meters wide. You will walk on the zig-zaging trail around the Buddha. In the late afternoon, drive to Emei Mountain. Overnight at the hotel at mountain foot. After breakfast, embark local environment bus (1 hour) to the parking lot of Leidongping, and walk about 30 minutes to the cable car station. Take cable car up to the top of Emei Mountain. After lunch at the hotel, take cable car down. And then go to Wannian Buddhist Temple by bus in the mid of mountain. It is one of the eight largest temples on this mountain and translated as "Long Life Temple" in English. Walk 1 hour down the mountain and arrive at the foot in the late afternoon. Drive back to Chengdu (2 hours). Drive to explore Dujiangyan, one of the world's earliest irrigation systems. This irrigation system has made the vast Chengdu Plain under irrigation and protected it against droughts and floods for over 2,300 years. 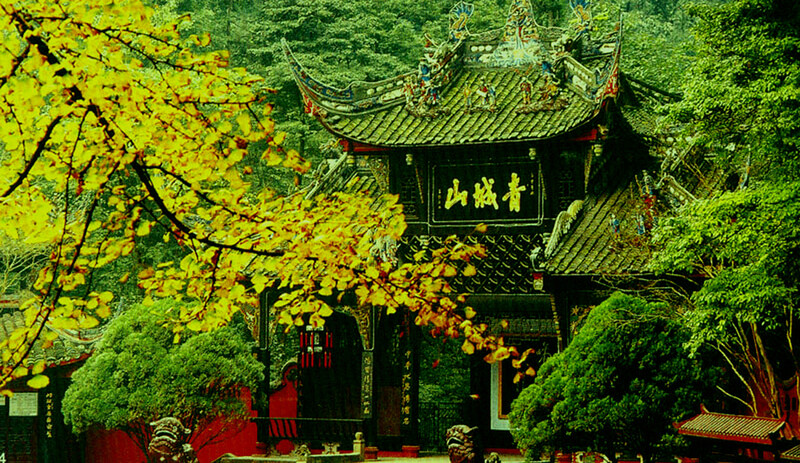 After lunch, proceed to visit Mt.Qingcheng. 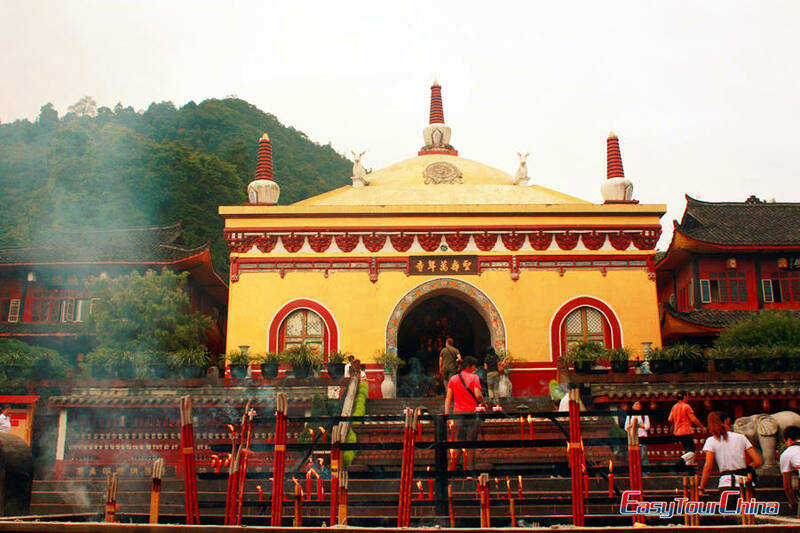 It is one holy Taoist mountain in China. The two sites were included in the World Cultural Heritage List in 2000.